Knopf Books for Young Readers, 2010. 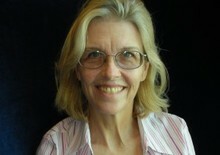 Jane Smiley was born in Los Angeles, California, moved to the suburbs of St. Louis, Missouri as an infant, and lived there through grammar school and high school (The John Burroughs School). After getting her BA at Vassar College in 1971, she traveled in Europe for a year, working on an archeological dig and sightseeing, and then returned to Iowa for graduate school at the University of Iowa. MFA and PhD in hand, she went to work in 1981 at Iowa State University, in Ames, where she taught until 1996. Jane is the author of numerous novels including The Age of Grief, The Greenlanders, Ordinary Love and Good Will, A Thousand Acres, which won the Pulitzer Prize in 1992, Moo, Horse Heaven, Good Faith, Ten Days in the Hills, and the young adult novel, The Georges and the Jewels, as well as many essays for such magazines as Vogue, The New Yorker, Practical Horseman, Harper’s,The New York Times Magazine, Allure, The Nation and others. She has written on politics, farming, horse training, child-rearing, literature, impulse buying, getting dressed, Barbie, marriage, and many other topics. She is also the author of the nonfiction books A Year at the Races, Thirteen Ways of Looking at the Novel and from Penguin Lives Series, a biography of Charles Dickens. In 2001, she was inducted into the American Academy of Arts and Letters and in 2006, she received the PEN USA Lifetime Achievement Award for Literature. Jane lives in Northern California, as do several of her horses. Jane, I didn't wait around after the AWP reading to tell you this in person (the lines, oh my gosh the lines) but you were magnificent. Hi Jane, I'm a big fan! So happy to find you here. Welcome! You must log in to write on Jane Smiley's wall.